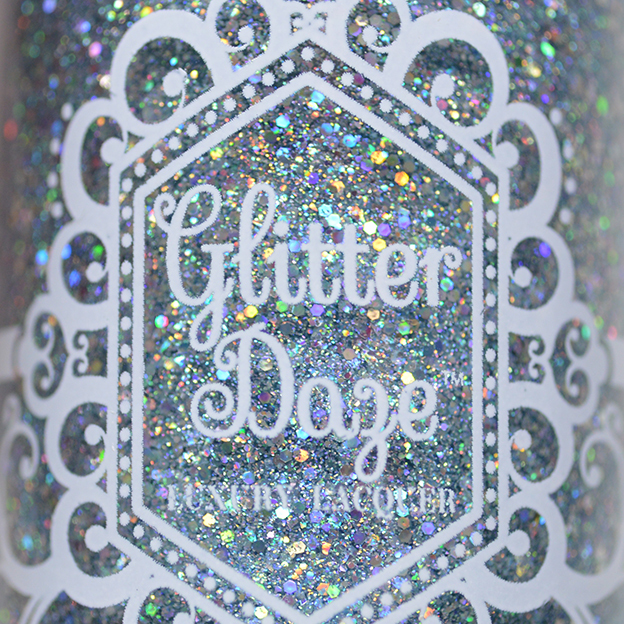 A new year means a new Daze of the Month theme for GlitterDaze! Everyone loved last years Harry Potter theme so much, that The Witchcraft and Wizardly Collection was voted again for 2018! 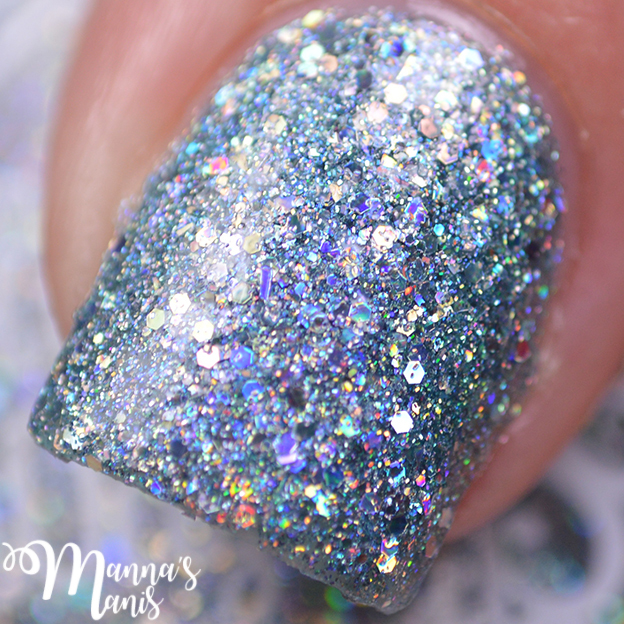 Expecto Patronum is a full coverage glitter polish with multisized silver holo glitter and blue shimmer in a lightly tinted ice blue base. 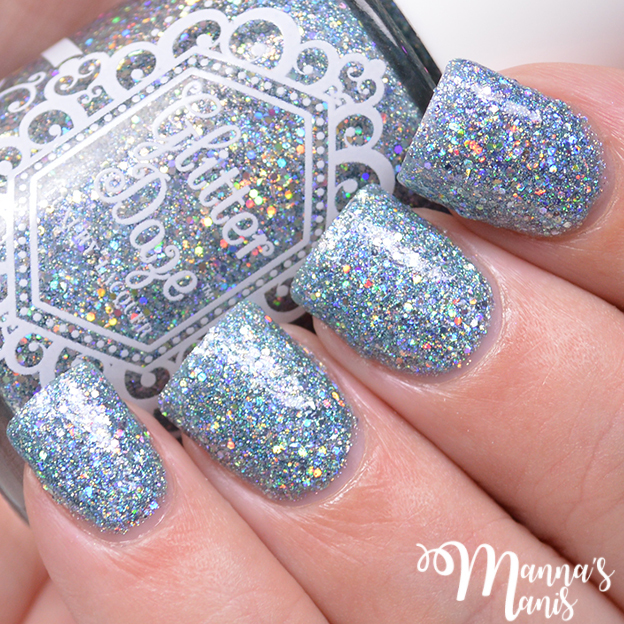 Usually full coverage glitters aren't my thing, but this one is a true stunner. You may want to use a peel off base coat with this one so removal is easier! My swatches show 2 coats with top coat. 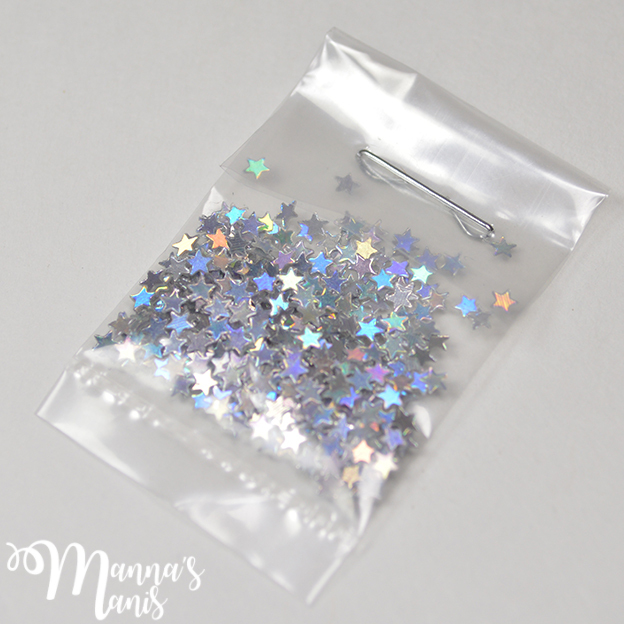 The free gift this month are these cute holo silver stars. 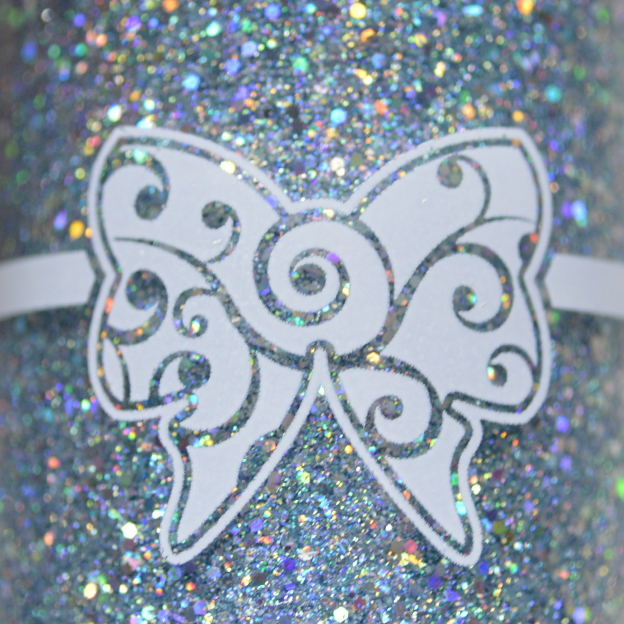 You can add them on after application or pour them straight into your bottle. 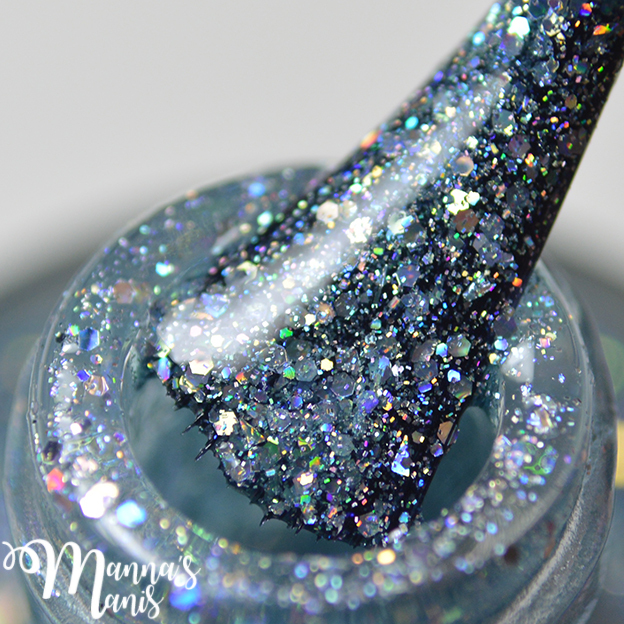 This polish is only available until the end of January!